WALKSTRONG ~ www.walkstrong.ca: " Mantra ... "
Mantras ... what are they and do you have one or more? More importantly, what can mantras do you for you? Recently, I read that “ideas remain un actualized until they are created through the power of speech”. And within large bodies of text (originating from India), also known as Vedas, the is claim that “speech is the essence of humanity”. Therefore, the expression of ideas and actions through speech determines what we think and become. At least this is practiced within most Buddhist and Hinduism techniques ... leading to mantras being viewed as a necessity for spiritual advancement. But where does the word mantra come from? Well it is derived from two Sanskrit words. “Manas” or mind, which provides the “man” syllable and “trai” meaning “protect”. 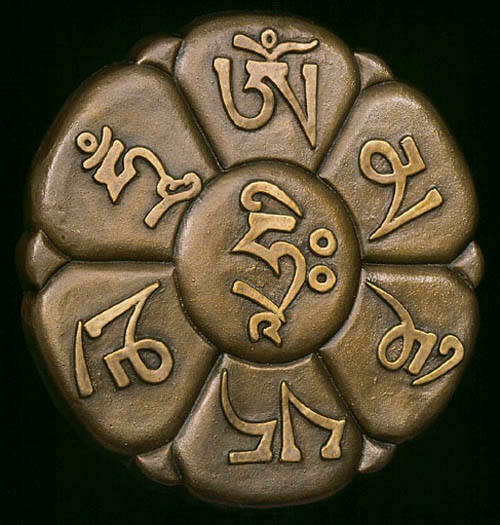 Therefore, the word mantra literally means “to free from the mind” and mantra, at its core, is a tool used by the mind. Regardless of your choice of faith, mantras can be very powerful. The simple act of speaking a word produces an actual physical vibration and energy. Coupled with the mental intention, the vibration carries the result of saying it. To the universe. Literally putting it out there with commitment. From personal experience, mantras can take you on a journey towards freedom. At a subconscious level, they help to expand and deepen your mind ... and address thoughts stored in organs and glands, transforming them into places of peace and harmony. How? Simply put, a mantra is an empowered word ... a word that has great psychological or spiritual efficacy. It allows you to focus your attention on your inner self, your spirit, your soul. And even if you are still not sure if you want to "mantra" ... you may be surprised to find out you probably are. Just know the most important aspect of mantras is keeping faith. Faith, aided by strong will, is when we achieve our goals ... leading us to a calm mind, true happiness and ultimate satisfaction.
" In Between ... "
" Worthy Of ... "
" Are You Passionate? ... "
" Give It Away ... "
"Moment For Life ... "